Ever had to get a 7 metre tall cake statue to London? Well, it was a bit of a different one for us, too, but the team was up for the challenge. Find out how we supported Michelle Sugar Art and Mr Kipling get the BFG cake masterpiece from Kent to the top of Primrose Hill in London. Mr Kipling teamed up with Michelle Sugar Art to launch the new Mr Kipling Road Dahl cakes in style. 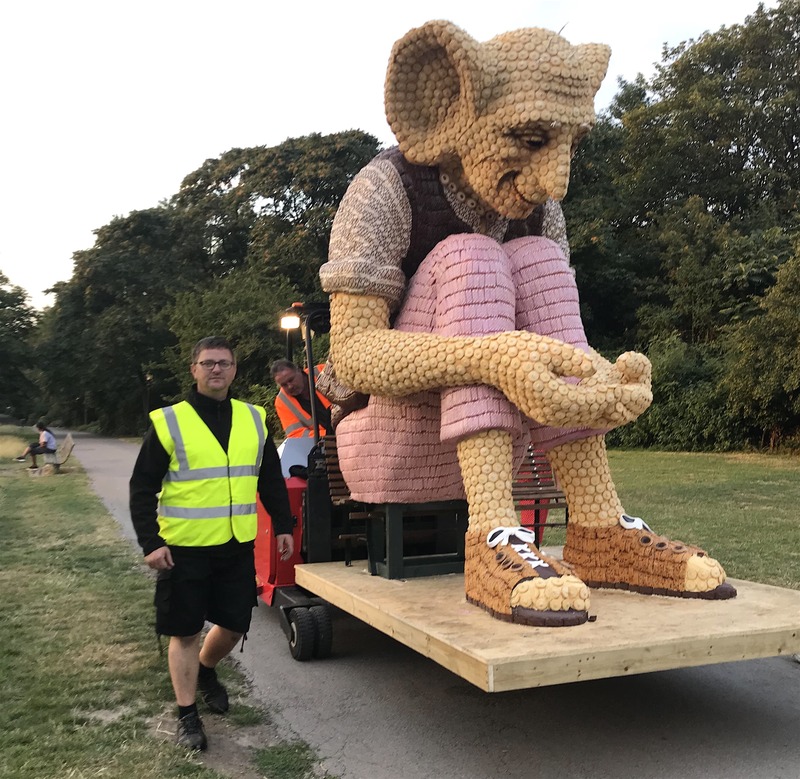 The plan was to have a 11 foot tall Big Friendly Giant made entirely out of Mr Kipling cakes surprise Londoners by appearing at dawn on top of Primrose Hill. Get the scrumptious-looking giant from Michelle’s studio in Kent to Primrose Hill for daybreak! However Ant is no stranger to unusual or unique loads. Previously he’s transported 250 tonne power modules, helicopter propellers and even a giant teapot for Yorkshire Tea. 7.32 metres tall, 7,500 cakes, 1 mile trek through a park. Top Task: don't drop a cake!!! Straps system is devised that holds things steady without touching the cakes! A big well done to Ant Hayes, who ensured the culinary masterpiece got to its destination on time while taking good care of the Big Friendly Giant. Please note no cakes were harmed during the transportation of this cake giant.